These photos were taken on Jason's 4th birthday, 08 Aug 2010. 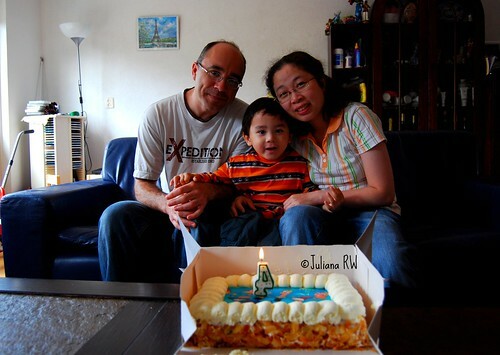 This year, his birthday's cake was Phineas & Ferb. His favorite TV serial. 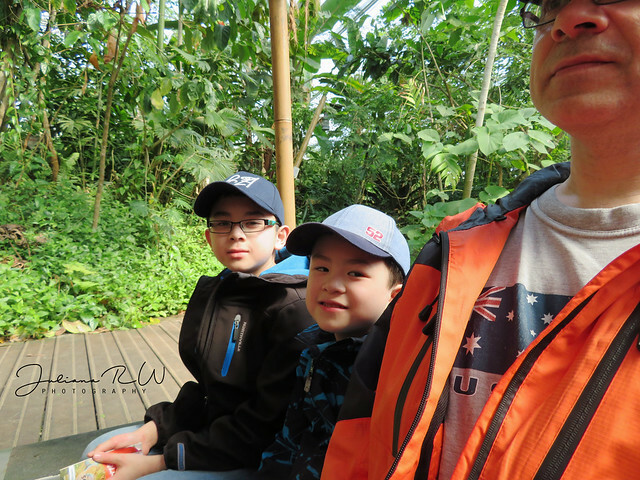 I used photo's timer to take family photo. Because I did took lots of family photos on my birthday's last month. This time, I took once shot. Lucky me, the photo was not too bad ^__^. 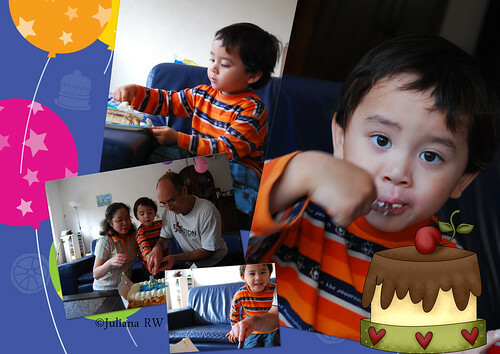 These are photos while he was cutting the birthday's cake and tried it. Happy Birthday! Love the cake. awe, stop by my WW today, it was my son's 4th Birthday on Aug 10th. He had to have Thomas the train cake. 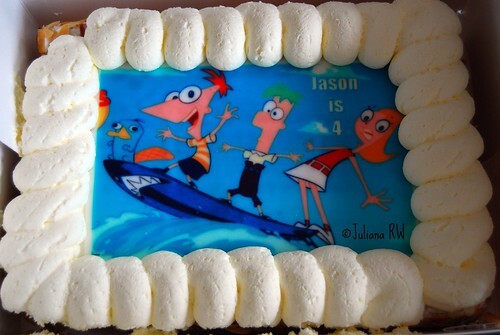 He loves Phineus and Ferb too..don't hate me b/c I spelled that wrong..
What a wonderful cake! I hope he has a great birthday. You have a beautiful family and it looks like your son had a fantastic birthday! Great photos!!! I love looking at all of your wonderful pictures. You have a great eye for photography!! !